Whether you want to upgrade your seat or avoid fees on your rental car, there are plenty of travel tips to help make a good trip better. Regardless of your mode of transportation, many travel tips can offer savings, peace of mind, and ways to avoid frustration. We like to occasionally post new business travel tips as we find them, and a new batch of tips came to us from a USA Today article. Traveling by car? You’re going to want to take a break and stretch your legs from time to time. Sitting for extended periods such as long road trips isn’t the healthiest idea. When you do stop, stop at better quality rest stops. How do you determine the good ones? For starters, a little online research can make all the difference. Most states list their welcome centers and rest areas online. If you have a smartphone, search Yelp or TripAdvisor and you may find information to help you choose between several options for gas stations. You can use an app like USA Rest Stop Locator, available for iPhone and Android, to find highway rest stops. The app lets you mark your favorites, check available facilities and hours, and even send the locations to your favorite way-finding GPS app. 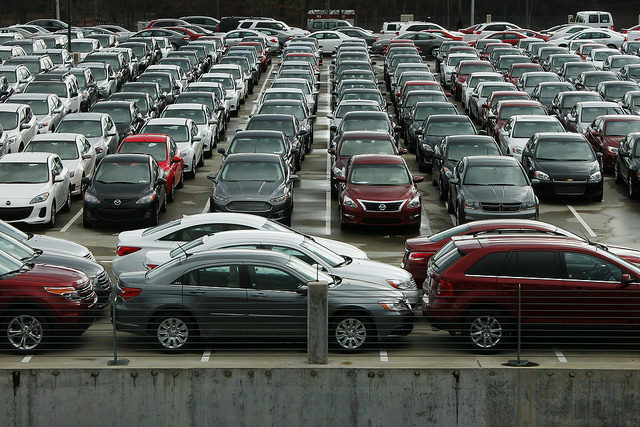 Speaking of cars, renting a car can be a nightmare. It can prove a worthy opponent for even the most patient of people. First and foremost, read the fine print. Often renters are hit with “surprises” only to discover they weren’t a surprise, but fees, penalties, limits, etc. were all spelled out in the fine print. A good place to start reading is the terms and conditions. Ignoring these items can prove costly. Before signing any agreement, ask questions, as many as you need to make an educated decision. 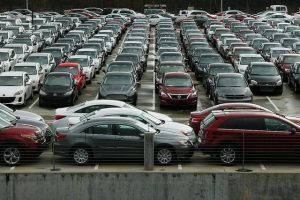 What about car rental insurance? It’s generally unnecessary because car insurance often covers it. But can you be sure? Does your auto insurance actually cover it? How about your credit card? If you’re not actually covered, you may end up with a large bill if something goes wrong. If a problem does arise with your rental car, solve it immediately. Many problems can be resolved right at the counter, including when they run out of cars. Confirm your reservation ahead of time to avoid any problems, and be sure to have a copy of the reservation, even if it’s on your phone in an email. Finally, arrive on time for your pickup. And don’t forget to have a Plan B in the back of your mind. That may include renting from a competitor, calling a cab, or even using Lyft or Uber. Did you ever arrive at your hotel only to be told your reservation doesn’t exist? One surefire way to avoid that is to call and confirm before your anticipated arrival. This will let you double-check details like dates, room preferences, room location, and so on. Once you’ve confirmed everything, ask for an email copy of your reservation and notes, which you should bring along in case there’s a problem. We all want to avoid wrinkles when we travel, whether it’s problems with our car and hotel, or even in our clothes. When you travel, you may not always have an iron or steamer available. That means you can avoid most wrinkles by carefully rolling your clothes instead of folding them. Another way to avoid wrinkles is to neither over pack nor underpack. Your goal is to have enough items in your suitcase so the clothes don’t move during travel, but also so that you can actually shut the suitcase. So you want to make sure you have luggage that best suits your travel needs. If you need suits, or dress shirts and slacks/skirts, bags with a suiter system can also help you avoid wrinkles and creases. 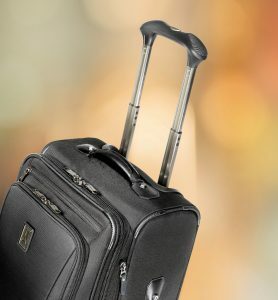 Travelpro has a variety of suiter and garment luggage options for your leisure and business travel needs. Finally, you can avoid a lot of problems if you just use your manners. Say “please” and “thank you” when you ask for help, instead of railing at some poor desk attendant or check-in clerk, you’re more likely to get you what you need. What are some of your favorite travel tips? How do you avoid problems or solve them when the pop up? Share yours with us on our Facebook page, or on our Twitter stream. Would You Ride in a Driverless Uber? 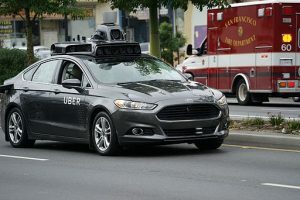 When Uber began testing driverless cars in several cities (and battled with California over its right to do so without a permit) last year, select passengers who wanted to try the experience weren’t the only passengers in the car. That’s because Uber is conducting research and has operators in the vehicles as it tests them in real life scenarios. As Uber engineers test the automation, several things are proving to be troublesome for the artificial intelligence to interpret. First and foremost, the unpredictability of human drivers makes it challenging for the AI to compensate. 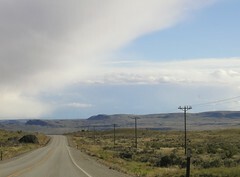 For example, crossing over into the left lane to make a right-hand turn is a scenario that does not compute for the software. Another quandary is bridges, so the company chose Pittsburgh specifically because of its many bridges, as a way to iron those bugs out. Bridges are difficult for driverless cars to handle, said Uber’s engineering director Raffi Krikorian, because they lack environmental cues that streets have, namely buildings. According to Business Insider, Krikorian said Pittsburgh was the “double black diamond of driving” and he believes conducting research in that city will help the research advance quickly. Weather is also proving a challenge because snow, for example, obscures lane markings, making navigation tricky. Uber is also finding other challenges from nature during its tests, such as trees. The cars rely on high-definition maps with landmarks to navigate. In Pittsburgh, the images on those maps were taken in the winter when there were no leaves on the trees, so the car can’t determine what the new objects on its route are. Whether you live across town or across the country, everyone dreads the travel hassles that seem to accompany Thanksgiving. This year we want to ease your stress by debunking some of the common myths surrounding turkey travel — you already have enough stress spending time with family. We found a recent USA Today article that debunked a lot of Thanksgiving travel myths, and will hopefully put your mind at ease. While many think the day before Thanksgiving is the busiest travel day of the year, that’s not the case. According to Julie Hall, public relations director for AAA, it is the busiest travel day of the Thanksgiving weekend, but it isn’t the busiest travel day of the year. In fact, the busiest travel day of the year in 2014 was August 8, according to the Department of Transportation statistics. The day before Thanksgiving is only in the top 10. See, we’ve already reduced your stress a bit. Another myth is that more airline delays coincide with Thanksgiving; this also is wrong. According to Christine Sarkis at SmarterTravel.com, Thanksgiving travel has averaged a 19 percent delay record over the past three years, while there has been an average delay of 22 percent in travel just from January to August of this year alone. So, we’re already three percent better. Frequent fliers also have reason to be relieved. Most airlines no longer have blackout dates, but they do charge more miles for tickets during Thanksgiving week. So, just avoid traveling back on Sunday, when airlines really jack up the “points price,” and you can get back home without losing your shirt. In fact, you might even be surprised to find a last-minute deal to a popular tourist destination and decide to ditch the extended family gathering altogether! After all, the “you’ll never find a last minute airfare deal” myth is just that: a myth. Just don’t bank on it. Plan ahead as much as possible. Finally, keep in mind that while the Wednesday before Thanksgiving isn’t the busiest travel day of the year, remember that car travel that day will be its heaviest between 3 and 5 p.m., so you can avoid sitting and do more cruising if you get an early start, like in the morning. You can always nap when you get there. Better yet, leave on Tuesday morning. Tell your boss we said it was okay. Happy trails, and happy Thanksgiving, from Travelpro! The differences between Millennials, Generation X, and Baby Boomers are never more evident than when we travel. Where we go, how we get there, what we do, and how much we spend all vary depending on our demographic. We’re alike in some ways, we’re very different in others. Shullman Research studied households with an annual income of more than $75,000 to see how each group preferred to travel, and created an infographic to show us just what those differences were. Here are a few examples of what they found. Millennials head to Hawaii more than Boomers and Gen Xers: 19% of Millennials travel to the 50th state, compared to 6% each of Boomers and Gen Xers. Meanwhile, 10% of Boomers prefer Nevada’s dry climate, while 18% of Gen X prefers Florida. When it comes to international travel, 23% of Millennials visit Asia, Generation X heads to the Caribbean (22%) or Canada (21%), while we Boomers head to Europe (61%) or the Caribbean (my favorite; I’m part of the 48% who vacation there). Flying is the preferred method of travel, with 28% of Millennials, 36% of Gen Xers, and 31% of Boomers taking to the air. But 39% of Gen X also prefers to travel by car, since they can turn this thing around if you don’t settle down back there. When it comes to cruises, we were surprised to see Millennials actually prefer them more than their older counterparts — 16% versus 11% (Gen X) and 13% (Boomers). For more insights and information, you can see the entire infographic at AdWeek.com, and get a better insight into how different demographic groups prefer to travel. What are your travel preferences? Do you match up with your demographic group, or do you prefer going against conventional wisdom? Leave a comment and let us hear from you.